Scott Mollen was quoted in New York Law Journal regarding Justice David Saxe’s move from New York’s appellate bench to Morrison Cohen. Saxe will step down from the Appellate Division, First Department, at the end of February to join Morrison Cohen as a nonequity partner on March 1. "It's possible that Judge Saxe thought he could have more impact in a medium-size firm. 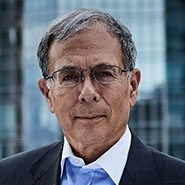 Judge Saxe has extensive experience in dealing with the kinds of commercial disputes that Morrison Cohen is known for handling," Mollen said, adding that the firm has an active New York-centric litigation practice that will benefit from Saxe's experience.